Since it's inception, >1,200 startups, corporates, academia, government and ecosystem players have come together and made new connections at THINGS Get On Top Of events. The quality and calibre of our guest speakers have been key to delivering inspirational and high substance presentations. Thanks to our 30 speakers this season! We look forward to 2019 where we will be introducing a fifth new topic: Smart Mobility. Watch this space for more information! 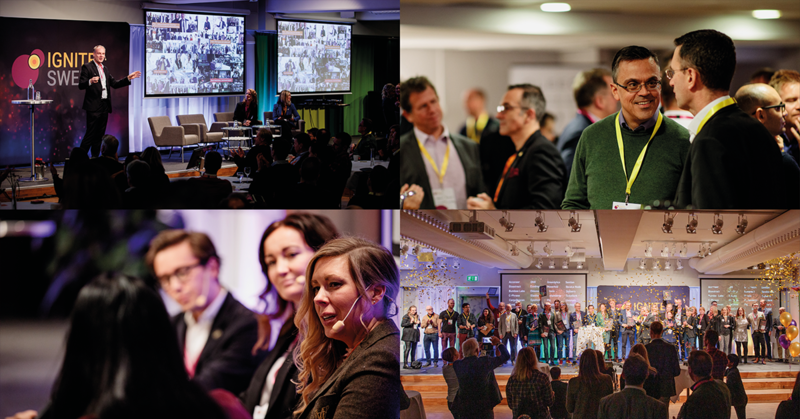 Ignite Sweden Day was a real celebration of Swedish innovation on a global scale through corporate and startup innovation. So many fantastic corporates, startups and ecosystem players coming together to advocate, share and inspire in collaborative partnerships. So far, the project has catalyzed 1,280 individually matched meetings involving almost 60 corporates and 300 startups from all over Sweden. More than 30% of these opportunities proceeded to a follow up meeting resulting in currently 44 commercial collaborations. 1. New Ignite Magic scheduling tool. 2. Synch Law to provide legal support. 3. 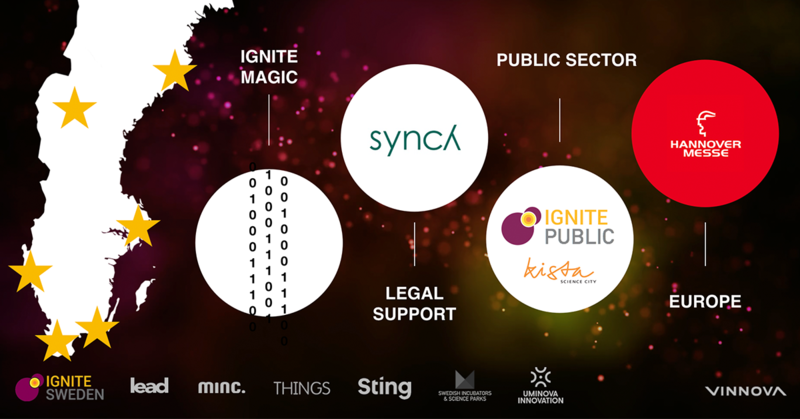 Ignite Public together with Kista Science City to capture innovative startup solutions in public procurement processes. 4. First activity outside Sweden Hannover Messe. 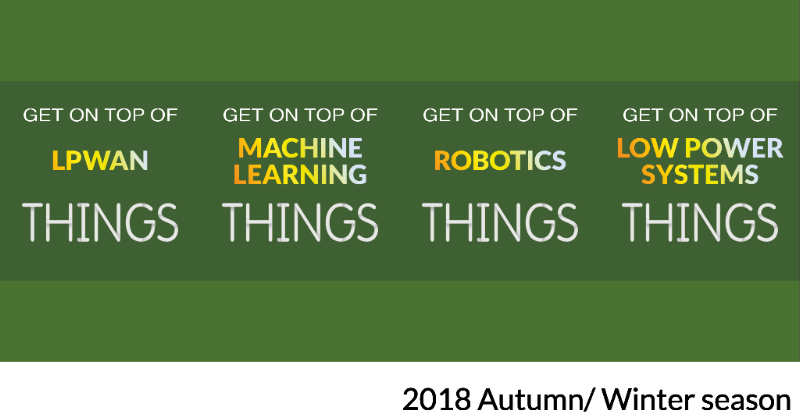 Pop-up Expo 15th Nov: one day mini expo dedicated to startups with new solutions and expertise in IoT. 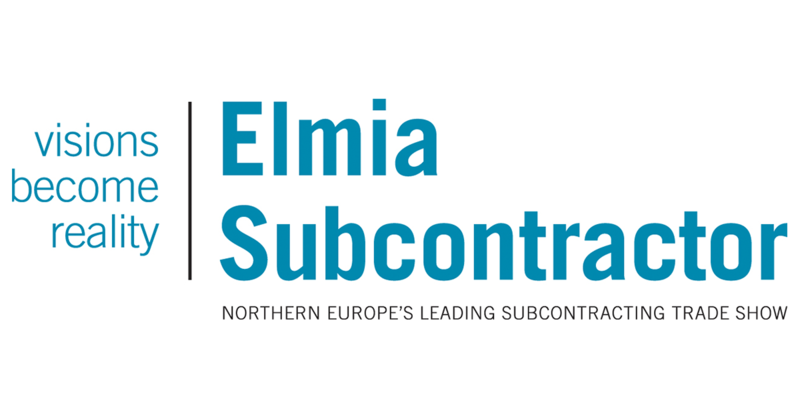 Elmia Subcontractor is northern Europe’s leading trade show for industrial purchasing and product development. THINGS was in place as part of the SMSE alliance in Jönköping together with Techsource Europe, H&D Wireless, Gimic, Ekkono Solutions, Lumenradio and Attentec. Ignite Sweden were also in place hosting a customized matchmaking targeting subcontractors! Welcome Infrasonik to the THINGS house! Infrasonik discover and realize new opportunities through infrasound innovation. The potential of the Infrasound technology is extensive. We use it to create heat, to cool, and to dry. It's an energy efficient method to accelerate processes and achieve impressive results. Lightflex Technology has collaborated with Scania to develop the C-Me vest using their active light technology which has been recognised with a prestigious innovation award nomination from International CES 2019! SurfCleaner is a cleantech company with a technological solution that vacuum cleans our seas. You can read an interesting article on the company and their entrepreneurial journey here! MIND Music Labs secures investment from Almi Invest! Read how Mind Music Labs operating system will make musical instruments smarter and how their disruptive technology will change the music industry. Epishine received a multi-million investment allowing the company to start production of organic solar cells! Mavenoid automates repetitive troubleshooting and technical support, secures $1.9 million in a funding round! They are also currently hiring! Flow Neuroscience was mentioned by Forbes on the impact of wearables for the future of health. Check it out! 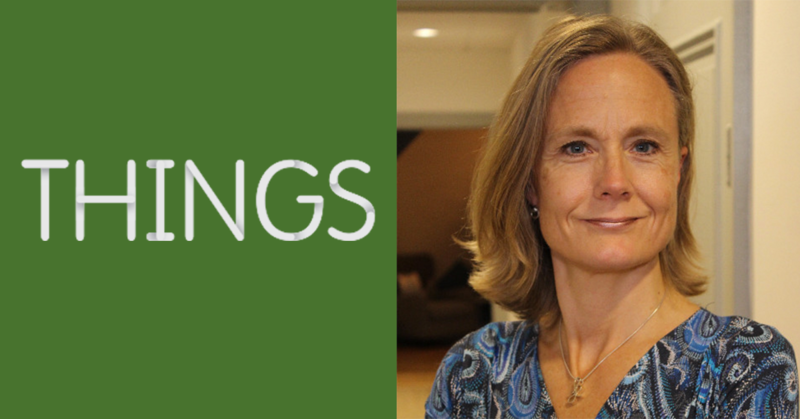 A message from Katarina, THINGS Acting CEO whilst Linda is on parental leave. Welcome onboard Katarina! katarina@thingstockholm.com/ +46 766 33 73 13. ESA BIC Sweden is the place for entrepreneurs from research centres, universities, space and non-space business seeking to realise their innovative ideas and transfer technologies from space to other areas of the economy. Selected applicants will be accepted to one of the three Swedish ESA BIC Incubators for business development support, advice and effective workplaces for up to 24 months, where they will receive preferred access to experts, suppliers and investment capital, funding of 50.000 € for product development and IPR, Access to ESA IP for commercialisation, Technical support up to 80 hours through technical partners and access to the international ESA BIC´s community and international ESA events. Go to www.esa-bic.se for more information. THINGS Stockholm is a co-working space for startups, at the cutting edge of the digital transformation. Our vision is to transform innovation in small companies into large scale value creation through collaboration with corporates. We do this by nurturing and bringing together startups and corporates in order to catalyse the domestic and global development of innovative products and services within IoT, automation, 3D scanning & printing, robotics & energy.